What Open-Source licenses are being use? Software - The Software Development Kit License will be, like Android, under Apache 2.0. Hardware – For hardware there is no clear standard for open-source licenses, so we modelled the Module Development Kit (MDK) after Google’s Project Ara Module Development Kit. What do I need to know about the MDK? Will my own existing Intellectual Property be licensed back to Razer? Why the need to license back my work to Razer in the first place then? I still have concerns. How can I let you know? Please do provide your feedback to us directly in the MDK Discussion thread on the OSVR Forum here. We’re open to feedback and will take all feedback into consideration for potential improvements/clarifications on the MDK license. Features 2160 x 1200 dual-display technology (1080 X 1200 per eye) running @90fps designed for maximum virtual reality immersion combined with custom designed optics for vibrant, clear visuals that will blow you away at every turn. 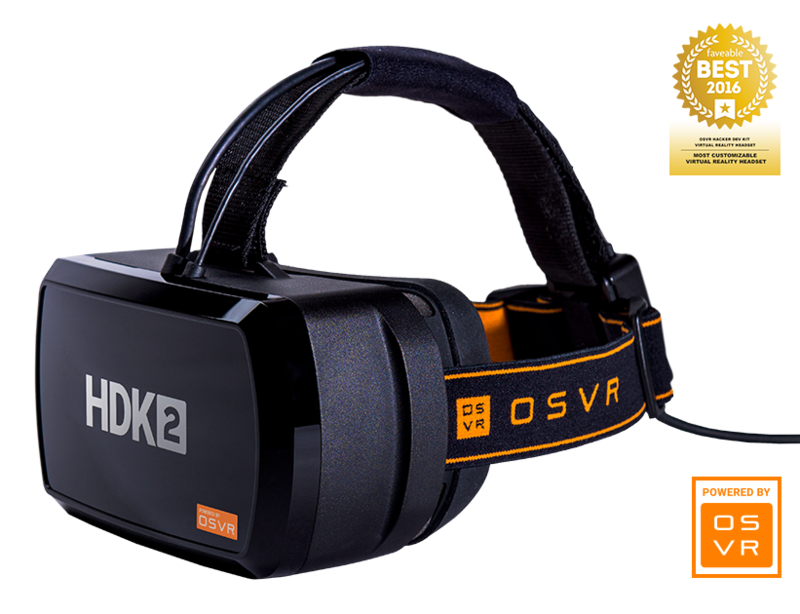 Whether you are interested in tinkering with hardware or getting to the root of the OSVR SDK and key tools like render manager to optimize your software - the HDK 2 allows you to get into virtual reality without worrying about subscription fees or restricted access. Play OSVR content on Steam and immerse yourself in fictional and faraway lands. The HDK supports a wide range of content technologies through the OSVR ecosystem including - OSVR and SteamVR experiences. The HDK Windows installer is an all-in-one package that installs everything you need to get your HDK ready to play. Fast access to over 300 supported games on Steam. 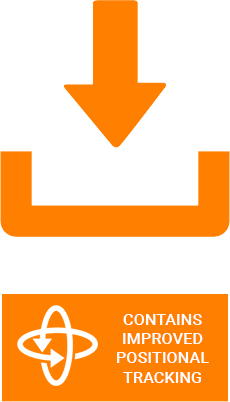 Easy to create, test and set custom configurations for developers. OSVR Faceplate with Leap Motion offering embedded Leap Motion technology to support natural interaction using physical hands. * new Dual Display 2160x1200 low persistence OLED silver screen with 441 PPI running at 90 fps. IQE (Image Quality Enhancement) technology for reduced screendoor effect. *diopters cover +4.5 to -2 adjustments to cater to majority of users. Removable face mask with a bamboo charcoal microfibre foam layer, additional foam padding for cheekbones and nose bridge featuring rubber nose inserts for additional comfort.